Two-Tailed spiders, as the name suggests, have extraordinary long “tails” which are actually part of the spider’s web-spinning structure. These spiders, also known as Tree Trunk Spiders, are often found on tree trunks and walls of abandoned buildings. 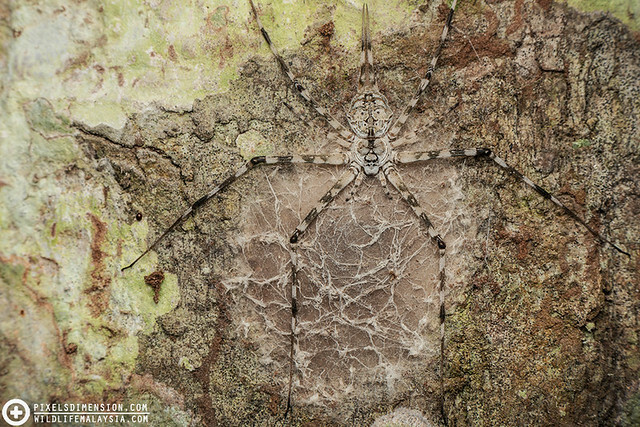 Hersilia spiders are extraordinarily good at camouflaging themselves on tree trunks, where they simply press their flat bodies on the surface, eliminating shadow casts and thus blend effectively with the surrounding. 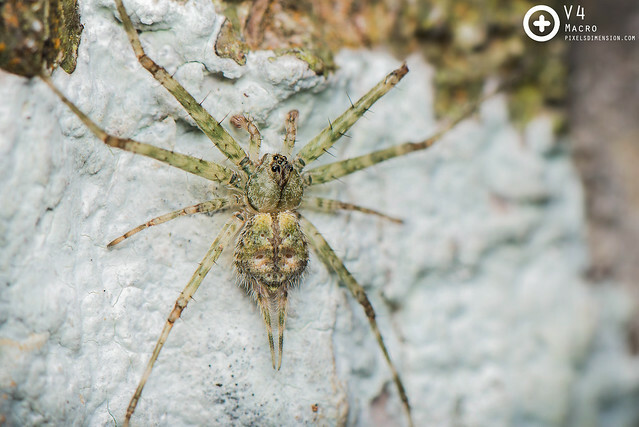 These spiders are very well adapted to life on vertical surfaces that they are capable of moving around at unbelievable speeds! 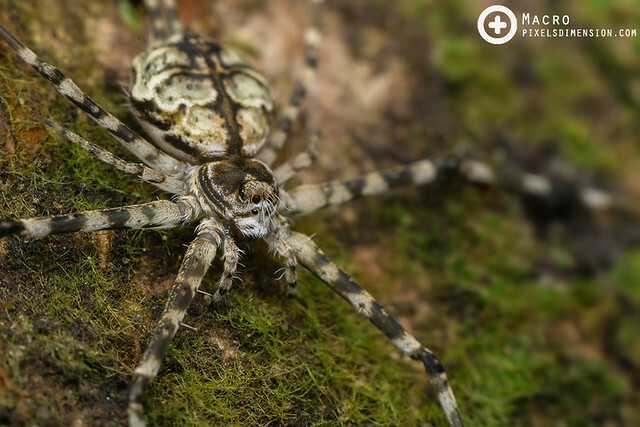 Read on to learn more about these amazing spiders! #1. 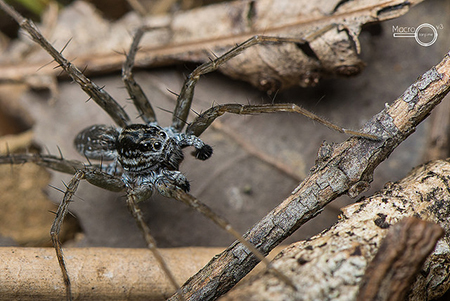 A juvenile Sumatran Two-tailed Spider (Hersilia sumatrana). A subadult Tree Trunk Spider. Note the long spinneret “tails” which gives the spider its name. #2. A female Sumatran Two-Tailed Spider (Hersilia sumatrana ♀). 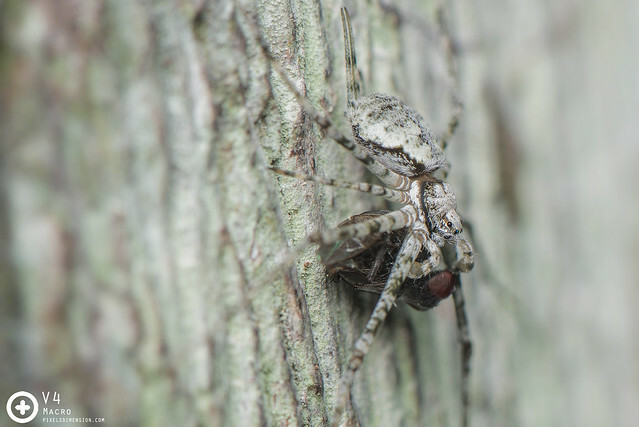 Two-tailed spiders often come in shades of grey to green, allowing them to blend nicely on various types of tree trunks. #3. 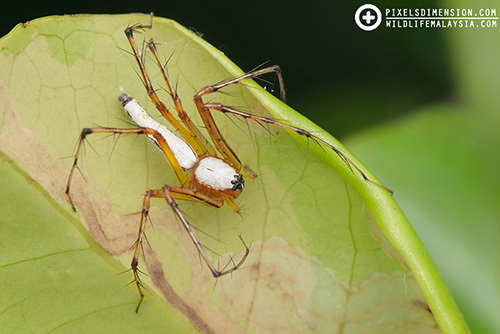 A male Sumatran Two Tailed Spider (Hersilia sumatrana). 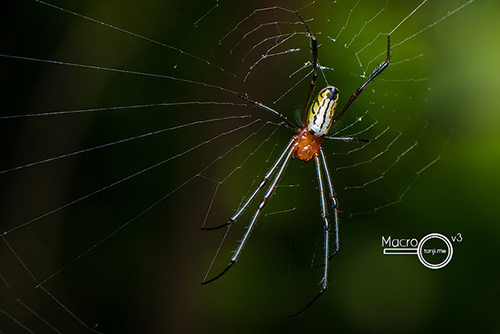 These spiders usually lie flat on the surface of tree trunks or wall buildings to avoid being seen by predators. 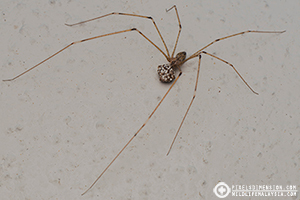 It is often when they are eating that these spiders have to raise their bodies. #4. 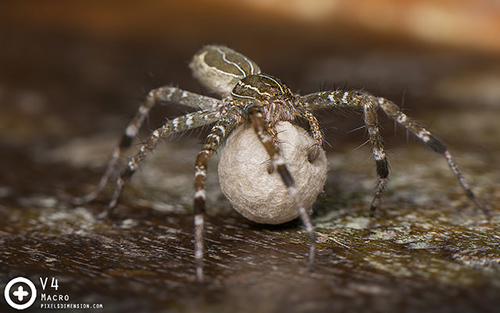 A plus-sized mother Sumatran Two-Tailed Spider (Hersilia sumatrana) safeguarding her egg sac, which is extremely well camouflaged like herself. The egg sac is laid flat on the surface of tree trunks or building walls and can almost impossible to notice if it were not because of the lace-like structure giving it away.